If you live in the Corcoran area, then you may want to take advantage of the Corcoran Heating & Cooling contractors at DeZiel Heating & A/C. Our HVAC Contractor can come out to take a look at your cooling unit to ensure that it’s working right for you. Call today before the humidity of the sun’s rays hits your house this year. For Heating & Cooling installation services, our highly trained staff understands the ins and outs of your HVAC system and preforms their task with our checklist of procedures. DeZiel Heating & A/C can help you find ways to reduce your energy bills with quality installation, Repairs, and Maintenance Services for your Corcoran Heating & Cooling Systems. DeZiel Heating & A/C provides a number of high quality heating services to the residents of Corcoran and surrounding areas. Our Corcoran heating repairs team will ensure you aren’t left out in the cold when your furnace breaks down on you during the winter. We provide repair services to heaters, boilers, furnaces, heat pumps, and other heating systems. No matter what type of heater you have in your home, our professional technicians have the skills to fix them. If your heater or furnace isn’t working the way it should be, don’t worry! Just give us a call and we’ll take care of it! 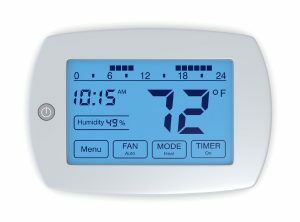 Speaking of repairs, DeZiel Heating & A/C can get your home feeling as cold as you need it this summer. We understand that sometimes regular air conditioning maintenance isn’t possible and that Air conditioning problems can occur suddenly, and usually at the worst possible moment. Don’t delay, call DeZiel Heating & A/C today. We are able to provide all types of services for your AC unit to include: installs, repairs, tune-ups and also maintenance. All of these services are done by the same technicians that fixed your heater. Allowing one company to handle all of your heating and air needs will eliminate a lot of hassle and stress on your part. If you are looking for a Corcoran Heating & Cooling Expert then please call 763-684-3965 or complete our online request form.